It's interesting to come across someone's notes like this...70 years after the fact. 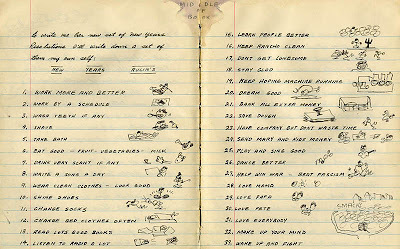 Not only was Woody Guthrie an incredibly moving and entertaining musician/performer, and a talented artist, he seems to have had quite the sense of humor as well. Click the iimage for a slightly larger view.